Toys for Tots Success – Volunteer Railroader Association Inc. 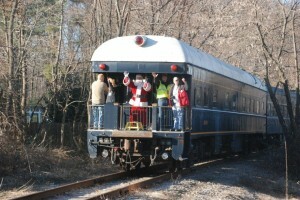 I am very happy to report that 2011 was the third very successful year for Operation Toy Train. The Military Transport Association of New Jersey along with the VRA, Norfolk Southern, NYS&W, and M&E ran two days of trains on December 10th & 11th, 2011. 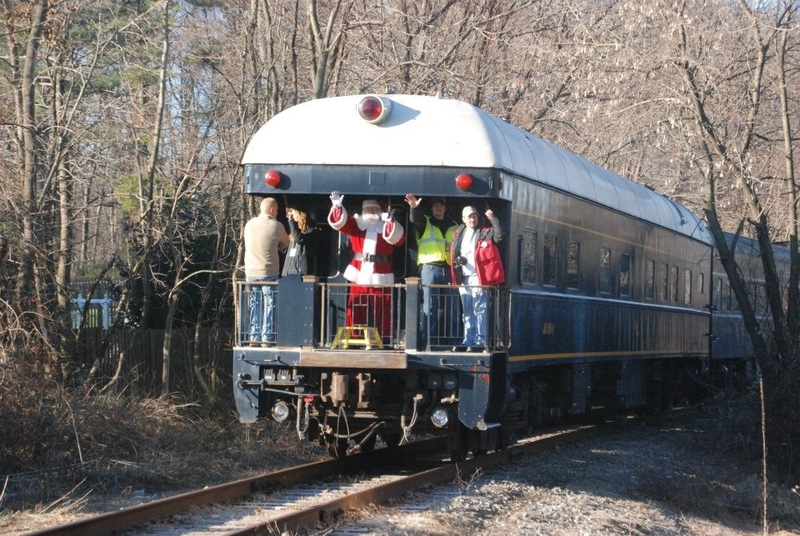 On Saturday December 10th, the train ran from Ridgefield Park to Butler with stops at Maywood, Hawthorne, Wortendyke, Wyckoff and Pompton Lakes. The weather cooperated and the overall turnout for the day was quite good and over 5000 toys were collected by the end of the day. 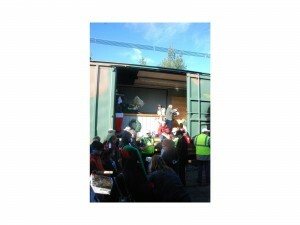 UPS and Ikea both made huge contributions with a $3200 donation and over 250 toys respectively. The Hot Dog Caboose in Wortendyke was open and offered food to our Marines and volunteers at no charge. The Wyckoff Fire Department brought out a number of trucks at the Wyckoff station stop and loaded a large number of toys onto the boxcar. Several Girl Scout troops from the area were at various stops throughout the day as well. 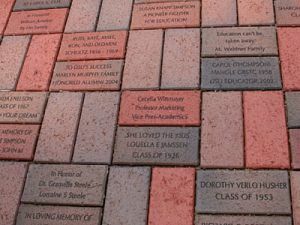 As in previous years, Pompton Lakes made this a huge event for their town. The local radio station was there along with Mayor Kathleen Cole, and various community groups. The North Jersey Jeep Club was in attendance with quite a few Jeeps stuffed with toys, as well as a few utility trailers. On the way back east that night a special stop was made at Hawthorne Station for the Hawthorne Fire Department who was unable to make the train stop that morning. Suddenly NS #3010 shut down and could not be restarted. Luckily, NYS&W #3018 was also in the consist, so we were able to make it back to Little Ferry Yard. There was some concern as to how the cars would make it to Morristown for day two, but luckily Morristown & Erie came to the rescue! John Sobotka, our Operation Toy Train organizer and NS engineer, and an M&E crew were able to get to Morristown to pick up M&E #19 for Sunday. Sunday dawned clear as well and went extremely smoothly. 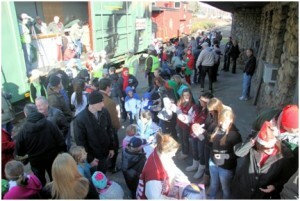 The train left Morristown under the power of M&E #19 and made its way to Dover to pick up more volunteers. From there we headed to the Flanders Fire Station for our first stop. The Flanders FD has opened their station to Operation Toy Train all three years and provided the volunteers and community with coffee & hot chocolate as well as donuts & cookies and a generous donation of toys. From there the train proceeded to Route 10 in Ledgewood next to Sleepy’s. Once again the public turnout was very good. Giancarlo’s Bakery brought Santa in and took numerous pictures and then gifted a full sheet cake to the Marines to thank them for their service. A small stop was made in Kenvil for a local Girl Scout troop who gathered over 750 toys alone from local businesses. The train continued on to Dover and stopped next to the Municipal Building, and then continued on to a small stop at Lakeland Bus just to pick up. We finished out the day in Rockaway at Pot Belly’s Cafe to a great turnout. At the end of the day the Marines met us as we left the boxcar on a siding in Rockaway and the crew and volunteers headed back to Morristown. Special thanks go out to our VRA Train and Ground Crew who worked very long days loading toys, managing crowd control, and making our visitors comfortable and happy! All volunteers had full access to the train for the entire day including hot drinks and food and a place to sit down. Everyone worked extremely hard to make this train a huge success! After two collection trains and various pickups by Military Transport Association of New Jersey members over the next week, the final count came to roughly 11,500 toys!! 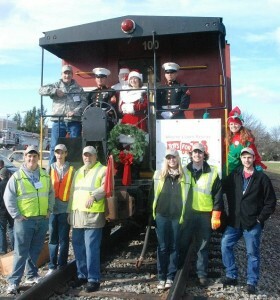 Thanks to everyone who was involved and keep an eye out for Operation Toy Train 2012 information this summer. Santa Clause, Morristown & Erie Employee, Matt Phalon, and CSX Engineer, Ralph Bonanno, ride the observation end of the Ohio River on the M&E’s High Bridge Line.